A lot of anxiety symptoms are easy to bear for people. Though most people find some stomach discomfort, a little bit of muscle twitching and some sweating relatively easy to deal with, having anxiety is not a pleasurable experience. However, some anxiety symptoms are not that easily bearable and can disrupt your routine life badly. Anxiety headaches top the list of these anxiety symptoms. These headaches caused by anxiety are fairly common and are usually very distressful. How Can You Know If You’re Having Anxiety Headaches? Anxiety headaches are usually characterized by a dull or achy pain in most people. This pain is often described as a crushing sensation instead of being a throbbing one. 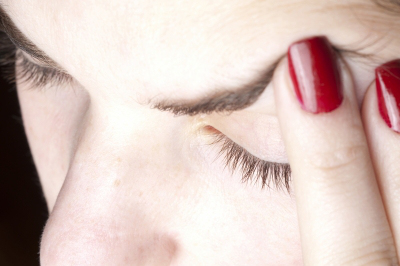 These headaches usually begin gently and tend to worsen with time. The pain experienced can be felt on either side of the head, forehead, on the back of the neck and head or the temples. What Are the Possible Causes of Anxiety Headaches? Muscle contractions in the neck and head are responsible for causing anxiety headaches. Such contractions can be caused by a number of activities, stressors or food items. Driving for lengthy periods or staring at a computer screen for a long time can result in a tension headache for some people, while for others it can develop because of cold temperatures. Using standard treatments for headaches is the only way of relieving anxiety headaches quickly. Tylenol, an over-the-counter medication is usually effective in providing pain relief as long as it does not cause you any harmful side-effects. As these headaches tend to worsen when you get dehydrated, drinking water can prove to be very helpful in relieving them as well. Stress, staring at digital screens for lengthy periods of time and dim lighting can cause eye strain which is a contributing factor for tension headaches. Thus, turning off the lights and resting your eyes for a while is another strategy that can be tried for alleviating tension headaches. Rub the temples of the head while keeping your eyes closed for a few minutes. It might reduce the pressure somewhat. A warm shower is always nice. It can reduce the pressure in the head as warm showers are known to relax the muscles. Get a massage from someone. Your head will feel a lot lighter as the massage will relieve the muscle tension in the back and neck. Taking part in stress management classes to learn techniques that will help you in relieving tension and coping with stress. Biofeedback, a relaxation technique that helps you in managing stress and pain. Talk therapy or cognitive behavioral therapy which helps you in identifying situations that cause you tension, stress and anxiety. Acupuncture, an alternative therapy that makes use of application of fine needles at certain areas of the body for alleviating tensions and stress. Although these treatments do not guarantee complete pain relief, they do reduce some of the pressure in your head. Some people find jogging helpful in reducing the pressure they are feeling inside their head while others find simply laying down more comfortable. Recognizing the factors that lead up to the headaches is a good way of preventing future episodes as anxiety and headaches are usually caused by certain triggers in particular. The cause of tension headaches can be determined by maintaining a headache diary. Make sure to record any situations that causes stress along with the meals and drinks you intake and the activities you perform. Make a note in the diary if you experience a tension headache. You will be able to spot a connection after doing this for a few months. For instance, if the diary tells you that you experienced headaches on days when you ate a certain food then that food might be the trigger of your anxiety headaches. It is also important to avoid anxiety as well. Nicotine, caffeine and alcohol can all worsen your anxiety. Therefore, avoid drinking too much coffee or alcohol or smoking if you are feeling anxiety and nervousness. Do keep in mind that certain headache drugs contain caffeine too. Exercising regularly can help you in feeling better too.